A melting moment is a type of small biscuit, pretty much a ball of shortbread. They're nice I guess, but I never really loved them. Then the other day, Mum and I were at Barnacle Bill. I was happily reading about the royal baby while we waited for our order, and then Mum appeared with a little paper bag. Melting moments," said Mum, "the girl who works here makes them." Mum has always loved melting moments. I said I'd just have half, thinking that I probably wouldn't really like it. I took a tentative bite. Well, it was amazing. It literally melted in my mouth. Far and away the best melting moment I've eaten, and Mum agrees. Unfortunately we'd eaten both of them before I even thought to take a photo. So soon enough we headed back to buy some more (for photographic purposes of course!). This time there was a different girl serving, who told us they used to make them, but don't anymore. A little confused, we bought some more, and they were still amazingly good, exactly the same biscuits as before. By the time I remembered about taking a photo, there was one measly biscuit in the bottom of the bag. That, combined with far from expert photography skills and a far from brilliant phone camera, led to the picture above. So although I'm now unsure as to who actually makes the biscuits, what I do know is that they are incredibly delicious and they cost 80 cents each. And they're available at Barnacle Bill, Holden Hill. Why? 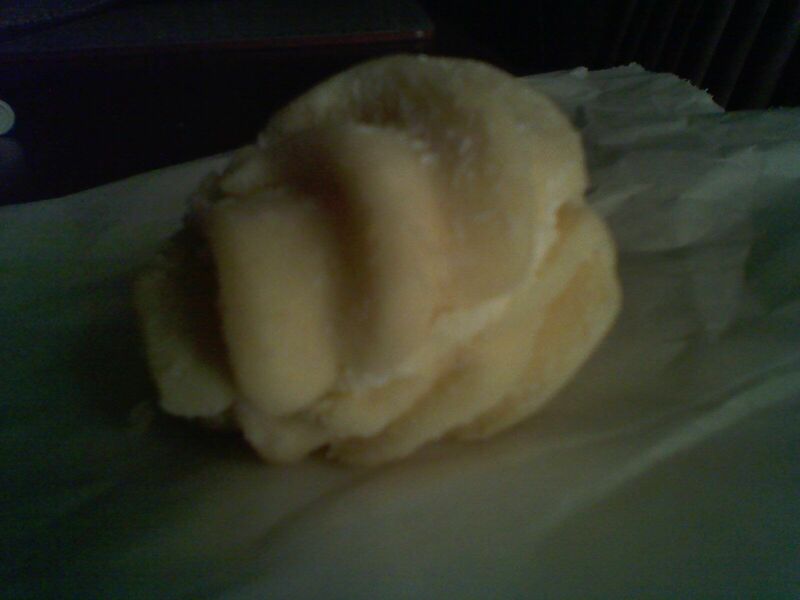 Best Melting Moments EVER! And the fish and chips aren't half bad either. I might give them a go, but the map is pointing to a town in western Massachusetts. Surely we don't have to go that far?! Great story, I am the owner of Barnacle Bill Holden Hill, Corner of Grand Junction & North East Roads, SA. The biscuits are made by Sam Fransisco of Frantic Whisk, his bakery is located in Clare Valley. He sources his ingredients locally, which is fantastic. Had to go to a lot of trouble to get them for our Restaurant, but worth it! You can buy them by the packet for $6.95 each, and the Choc Chip, Macadamia, Almond, Dutch Shortbreads & Nougat Rounds are all just as delicious as the Melting Moments! !